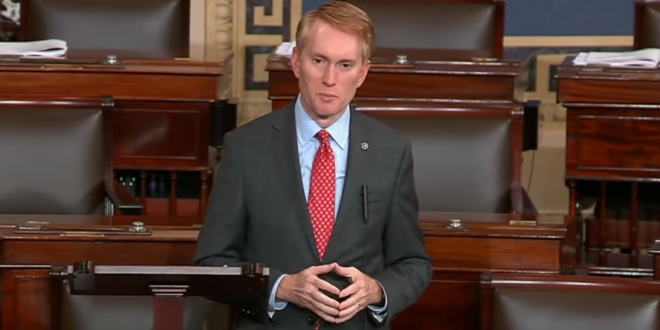 Sen. James Lankford: The Bible Is Mostly About Politics Therefore God Wants Christian Politicians To Proselytize - Joe.My.God. As a battle wages for the soul of America, the D. James Kennedy Center for Christian Statesmanship is working to prepare Christians to serve as public policy shapers and decision makers. “It’s very interesting for me to be able to hear, ‘Well, if you come from a biblical worldview, you know, really that’s a ministry or that’s a private life that doesn’t really spill over into your public life.’ That’s not only contrary to what we believe as Americans; that’s contrary to what we believe in as Christians,” Sen. James Lankford tells CBN News. Lankford first appeared on JMG in 2013 when he blamed gun violence on the children of greedy “welfare moms.” It’s what Jesus would want.